Such has been the response to the offer, Toyota is extending it for a further three months, giving customers more time and more opportunities to save up to £2,500 on a brand new car. 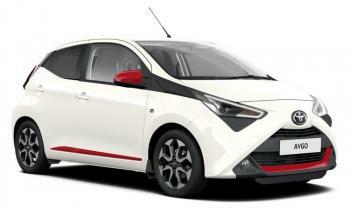 For the coming quarter, the scheme focuses on the Aygo city car and petrol versions of the Yaris supermini with respective price tag savings of £2,000 and £2,500. Purchase is made even easier thanks to current finance offers for the Aygo x-trend and Yaris Icon Tech with nought per cent APR representative*. In outline, the scrappage scheme enables owners of cars and small commercial vehicles – both petrol and diesel – registered up to and including 30 June 2011, to trade in their vehicle against a qualifying new Toyota Aygo or petrol-engined Yaris. Customers must have owned their vehicle for a minimum of six months. Other terms and conditions apply; full details are available at www.toyota.co.uk/toyota-scrappage-scheme or from Toyota retailers. *Subject to status, available to over-18s. Indemnities may be required. Terms and conditions apply, for full details go to www.toyota.co.uk/new-cars/aygo/aygo-xtrend-retail-offer or www.toyota.co.uk/new-cars/yaris/yaris-icon-tech-retail-offer . Toyota Financial services.